Springboard to NASA - The Flight-path of an Astronaut. The career of Eminence, Missouri resident Thomas Akers has—in quite literal terms—risen to meteoric heights. 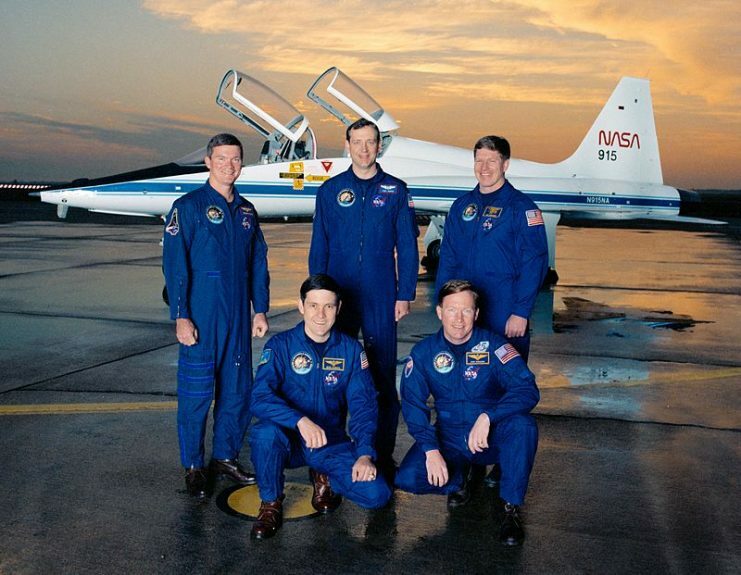 A veteran of four Space Shuttle flights made during the 1990s, Akers recognizes that his career as an astronaut was a dream achieved through the boost provided from the training he received in the United States Air Force. Born in St. Louis on May 20, 1951, Akers explained that his parents made the decision to move to the community of Eminence when he was four years old to find a quieter location to raise their family. “I am a twin and we have an older brother as well,” said Akers during a recent interview. “My father worked in St. Louis as a carpenter and was only home on weekends while we were growing up,” he added. Graduating in 1969 as valedictorian of his high school class, he enrolled at the University of Missouri-Rolla to pursue a degree in applied mathematics, a subject he enjoyed. Additionally, he explained, the math teacher at Eminence High School planned to retire in the next few years, which was a position that interested young Akers. He went on to earn his bachelor degree in 1973 and his Master of Science degree in 1975. A few months into his employment as principal, he and his wife welcomed their first child, David, into the world. Three years later, an Air Force recruiter visited the high school to recruit their math teacher to fill technical vacancies. The teacher was not interested in pursuing a military career but Akers read the brochures left behind and decided the Air Force might offer a beneficial opportunity. Throughout the day Akers was an air-to-air missile analyst, but in the evenings he taught math and physics courses at Troy State University. In 1980, while in the midst of a frenetic work schedule, his family grew with the addition of his daughter, Jessica. It was also during this period that the airman received an incentive ride in the backseat of an F-4 Phantom supersonic jet—a thrilling experience that not only inspired his desire to fly, but would also lead to his becoming qualified to apply for the astronaut program. Returning to Eglin in 1983, Akers worked on weapons development programs for several types of aircraft. 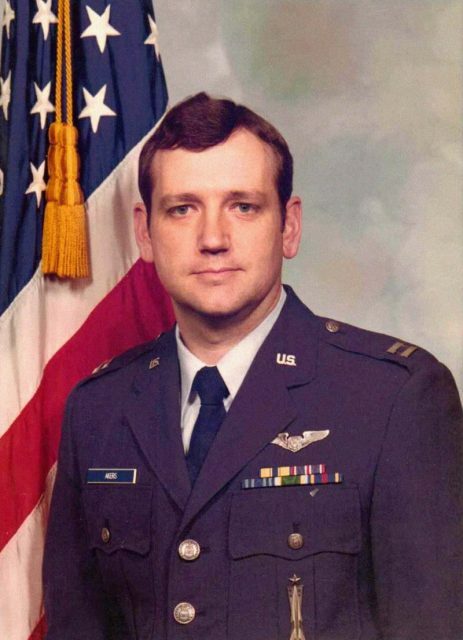 He applied for the astronaut program through the Air Force in 1985 but was not selected. The following year, he again went through the application process; however, the program was temporarily suspended after the Challenger incident in January 1986. “In 1987, I again applied for the program and was selected,” Akers said. “As part of the selection process, there were approximately 100 individuals interviewed for a final class of only 15 astronaut candidates,” he said. 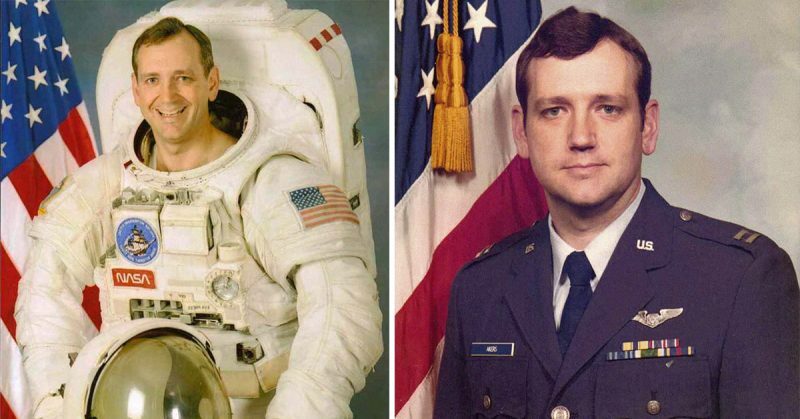 As Akers explained, he remained a member of the Air Force but was assigned to NASA. 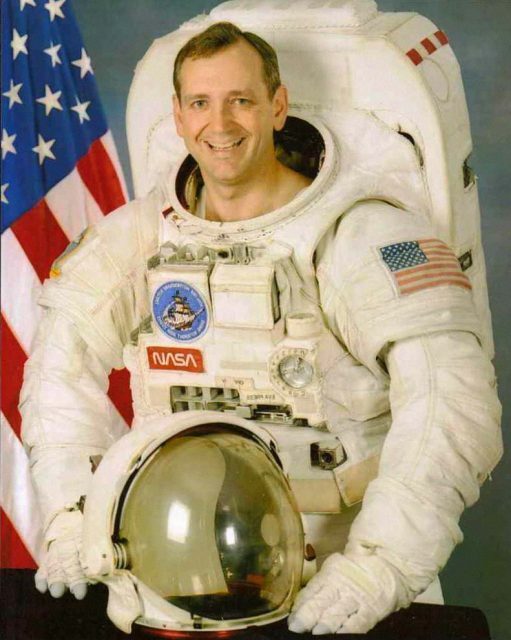 Completing about a year of astronaut candidate training at Johnson Space Center in Houston, he participated in his first space flight in October 1990, assisting in the deployment of an interplanetary probe. The Space Shuttle Endeavor made its maiden flight in May 1992 with Akers aboard for his second mission. The astronaut would again travel to space in 1993 and 1996, finishing his NASA career after accumulating more than 800 hours of space flight and 29 hours of space walking over the course of four missions. 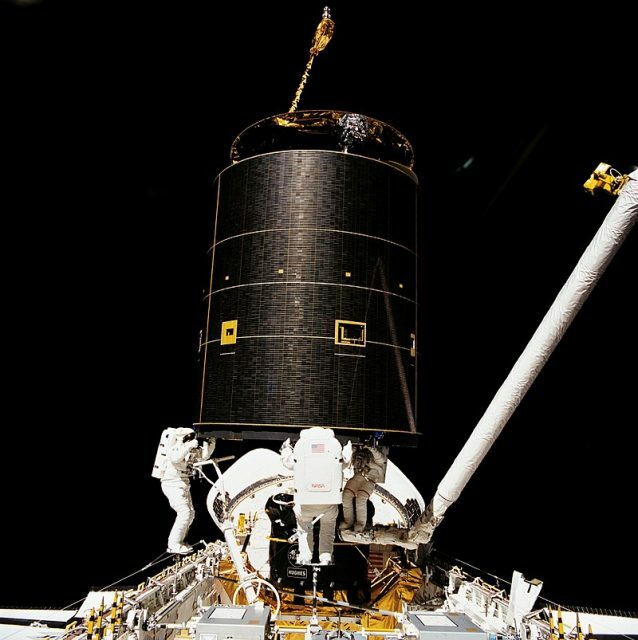 The STS-49 three-person EVA. Left to right- Richard Hieb, Akers, Pierre J. Thuot. The veteran remained at Rolla for a number of years, serving as an instructor in the university’s math department until retiring in 2010. He and his wife now reside on a small farm near his hometown of Eminence. Reflecting on his fascinating experiences, Akers acknowledges his professional achievements were made possible through the military, a supportive family, and God’s guidance and blessings. 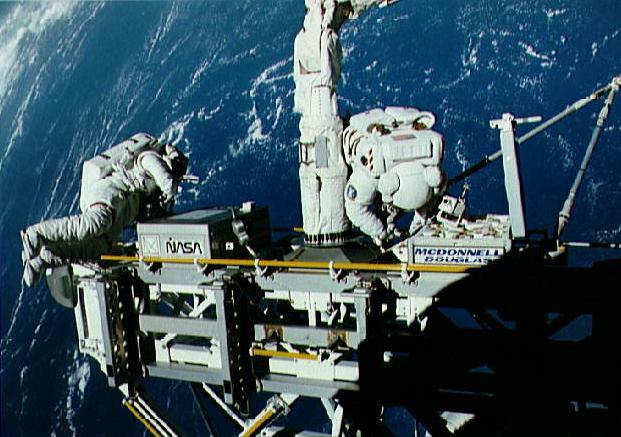 The ASEM is manipulated by the RMS while astronauts Kathryn Thornton and Thomas Akers are on an EVA during STS-49.